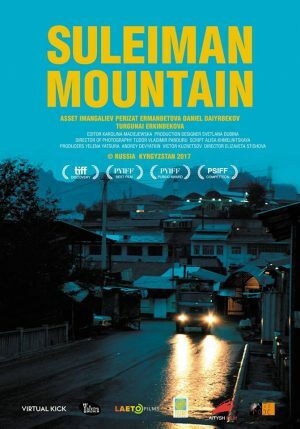 We are very pleased to inform you that the film SULEIMAN MOUNTAIN by Elizaveta Stishova has got Prize for Best Actor – Asset Imangaliev by Main Jury within the Fiction Competition at the 20th edition of the Bratislava International Film Festival (November 29 – December 2, 2018). There is Closing Award Ceremony on Dec 2nd at 7:00pm in Bratislava and I would kindly ask you to pass this information on to the actor. We would be very grateful for his short video record which will be screened at the Closing Awards. In case he could attend the festival personally it would be the best option. A character placed not as a leading and rather as a negative character from early on in the film, quickly becomes a main character with its unimposing cunningness and disarming “освојувачки мангупски малверзаци“. He changes his mood towards his two partners, his son and towards others, for that matter, with incredible ease. He is a liar and a thief, a sly adventurer used to getting his own way with tricks, which, however, change in the last scene. A character that every great actor would love to portray.